Orienteering Bassano 1982 and Orienteering Swallows Noale are happy to invite you to this double TrailO event in "Parco del Brenta" at Nove. 15/04/2018: Results of the Day 1 PreO competition Open Elite and Beginners classes, and of the Day 2 TempO competition . 15/04/2018: Published the maps of TempO tasks . 14/04/2018: Start list of day 1 and day 2 . 13/04/2018: Bulletins of stage 1 and stage 2. 03/04/2018: Now available the jpg files of the old maps of 2012 (scale 1:5000) and of 2013 (scale 1:10000). 03/04/2018: Published the rules of the TrailO Veneto Championship (only in italian). 15/4, Day 2: TempO Italian Championship. Both days are valid also for the TrailO Cup (Croatia, Hungary, Italy and Slovenia), and for the TrailO Veneto Championship. 14/4: Classic PreO. The competitors can use their own puncher. SportIdent will be used to record the course time. The assembly point for both days is at the Astronomical Observatory, in the picnic area of the "Parco del Brenta", via Nodari, Nove. Parking and accessible toilets are close to the assembly point. Day 1: 14:00, 300m from the assembly point. Day 2: 10:00, 300m from the assembly point. Nove Parco del Brenta, scale 1:5000, contour 2m, 2003, updated in 2018; print scale 1:4000. Embargoed zone is shown in this link . Alluvial and stony terrain, with a lot of contour details. Zones with dense vegetation, and open and semiopen areas. Paths are feasible but there are stony sections. 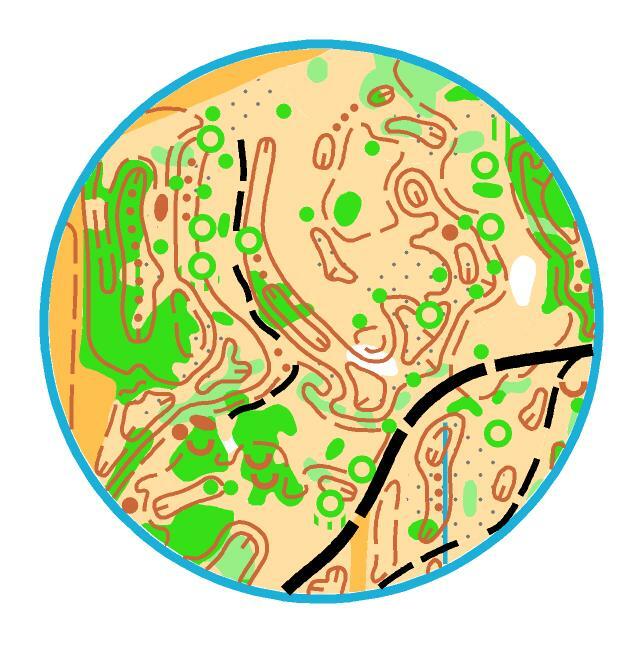 In the PreO course a sandy section is present, marked as OneWay in the map. Assistants will be provided if required in the entry. Entries through the website orienteeringonline.net, or by email to . Deadline: Sunday, 8 April. In the day of competitions new entries will be accepted until map are exhausted. Specify the Sicard number. Specify also if you need an assistant during the competitions. The best three will be awarded for each class and for each day. Moreover, on conclusion of the second day the Italian TempO Champions and the Veneto Champions will be awarded. Hotel Le Nove, via Rizzi 51, Nove; phone +39 0424 590947. Two accessible rooms. Ostello Bassano del Grappa, via Lorenzo Chini 6, Bassano del Grappa, phone +39 331 1576723.